I'm a fan of all things cheese, so today's post is right up my alley. The very clever Tracie from Cleverly Inspired has a tasty and simple recipe for Savory Baked Brie to share with us today! The holiday season may be past, but many of us are still entertaining friends and family during these cold winter months....so I thought I would share with you a super easy appetizer to serve up to your friends: Savory Baked Brie. What I love most about this recipe is that..it looks like you worked on it a lot harder than you actually did But no one needs to know that....our secret... I don’t like sweet cheese. So whenever someone offers my “baked brie” I kindly say "no thanks". I always thought that was the only way it could be served….until lately. 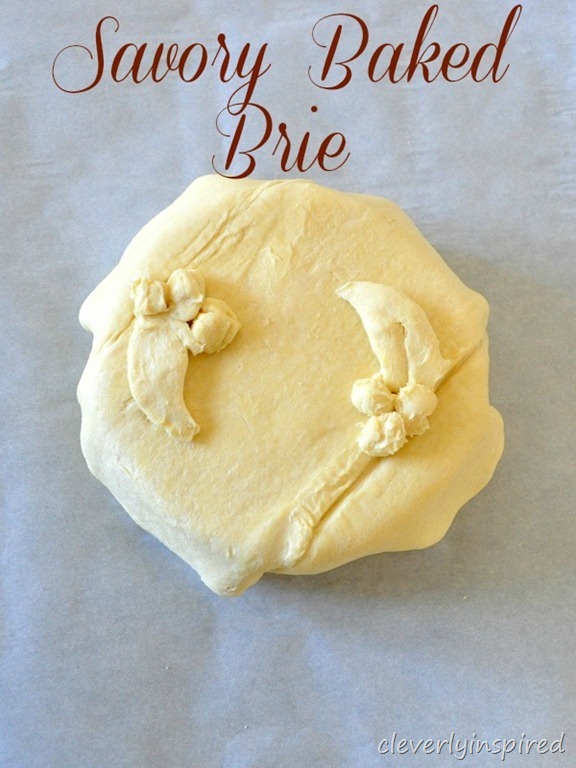 This brie is savory and creamy…love this recipe. What is even better is that it can be made a ahead so all you have to do is pop it in the oven. 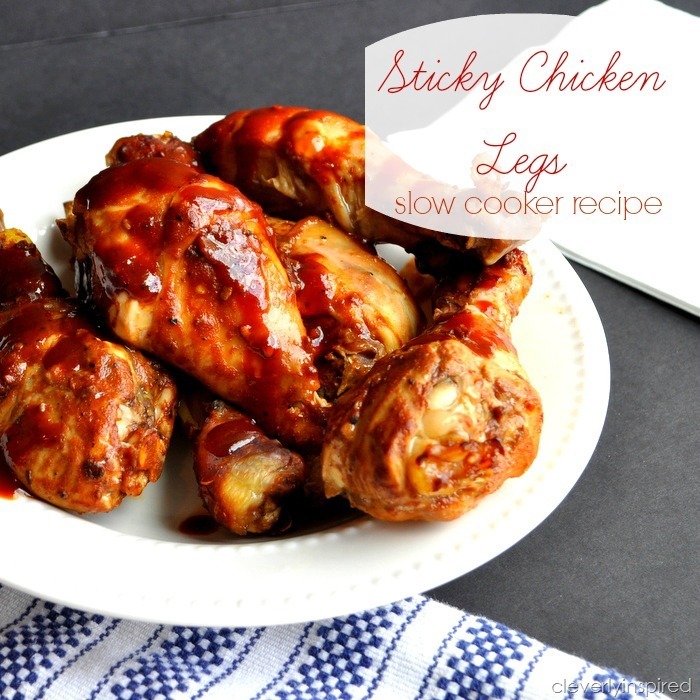 This recipe would also be a great addition to any holiday menu…perfect snack for entertaining. Cut one onion up and caramelize (here is another post about that…incase you haven’t caramelized before). Very easy to do…and you can do that in advance and keep them covered in the fridge. 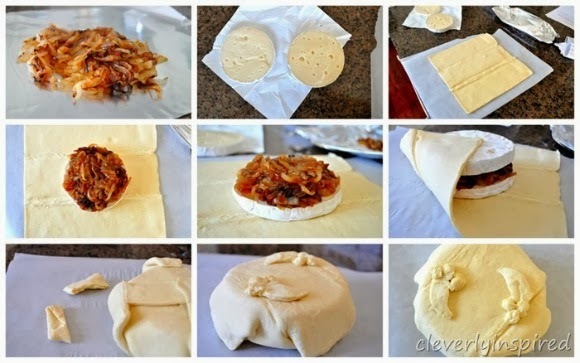 Thaw the puff pastry sheet on a piece of parchment paper. After about 20 minutes it will be able to be unfolded and laid flat. Cut the brie in half sideways. Place the bottom piece (rind down) on the puff pastry. Spoon heaping spoonful's of onion on the brie. Gently fold puff pastry up from the corners. Cut a bit of excess from the corners. Flip the brie over. 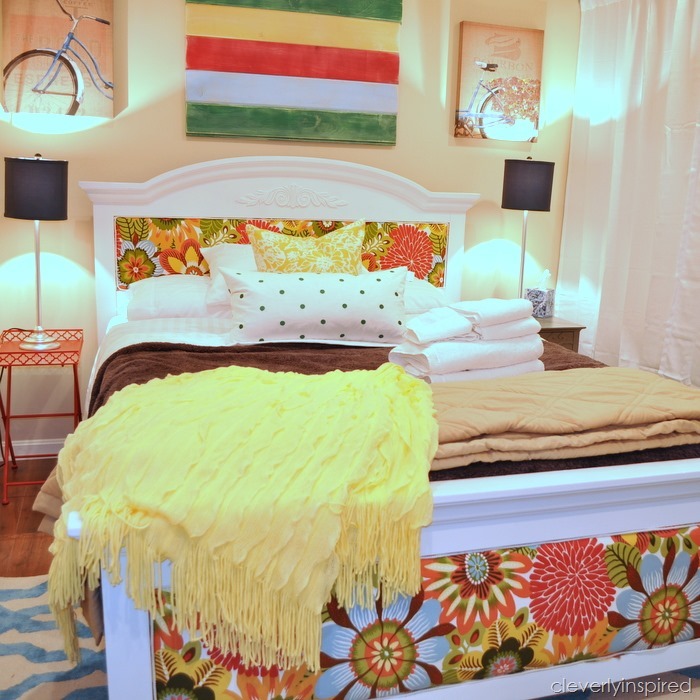 Make excess into a leaf shape and place on top. Should be baked with seams on the bottom. Bake on parchment 350 for 20 minutes. Optional: brush with egg white to have a golden crust. My mouth is watering! I need an excuse to get some brie on my shopping list for the week. 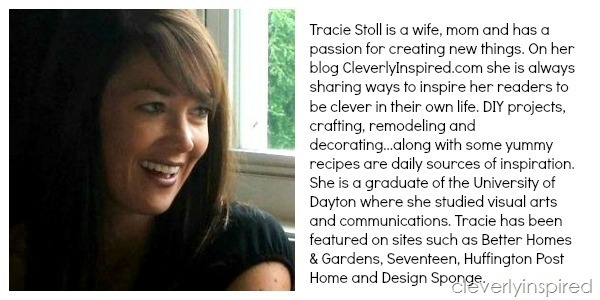 Thanks for cooking up something tasty to share with us, Tracie!